I've done a 'bookish things I'm thankful for' post for the past two years, so I decided to switch it up. I thought about doing one about bookish feasts, but apparently I've also already done that. 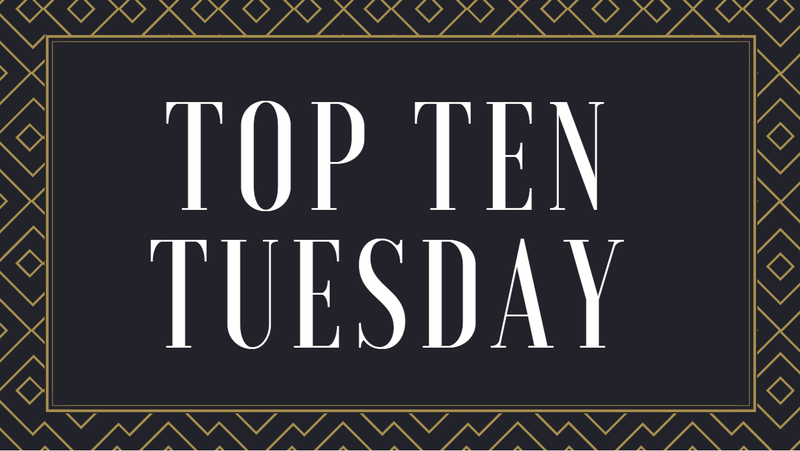 Instead, I decided to talk about some books that make me endlessly thankful to be living in the world that I do. It's not that our world is perfect (hah! ), but it's safe to say that it could be worse. I tried to choose some that I haven't seen too often in posts like these, and it ended up being pretty fun looking through my books and deciding which sounded most horrible. So here are some books I'm thankful to not be a character in! I thought I'd start this list off with a rather obvious choice. The surveillance in 1984 sounds pretty terrifying and the entire world is one that I'd very much like to avoid. We may already have a lot of surveillance, but the level in 1984 is something I'm glad we don't have (yet?). About: "Winston Smith works for the Ministry of truth in London, chief city of Airstrip One. Big Brother stares out from every poster, the Thought Police uncover every act of betrayal. When Winston finds love with Julia, he discovers that life does not have to be dull and deadening, and awakens to new possibilities. 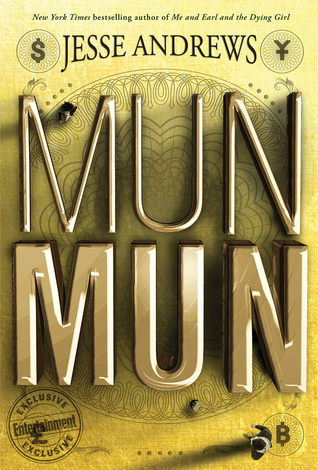 Despite the police helicopters that hover and circle overhead, Winston and Julia begin to question the Party; they are drawn towards conspiracy. Yet Big Brother will not tolerate dissent - even in the mind. 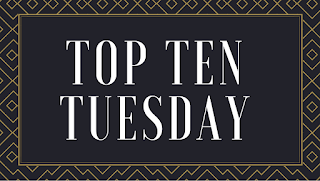 For those with original thoughts they invented Room 101 . . ."
The class divisions in this society are a bit too literal--the richer you are, the bigger your physical size, etc.--and life as a littlepoor (or even any of the other smaller sizes) sounds horrifying and dangerous. I have a feeling I wouldn't be rich in this world either, so I'm thankful that although our society does have some class divides, they aren't quite so literal. About: "In an alternate reality a lot like our world, every person’s physical size is directly proportional to their wealth. The poorest of the poor are the size of rats, and billionaires are the size of skyscrapers." I've gone back and forth on this one because I love the fact that the Library of Alexandria still exists, but the way that information is withheld from people, how strict things are in general, and the prevalence of burners are all some turn-offs for me. And the biggest problem: you can't own your own books! I can't even imagine. If we did away with all thsoe things and just had a world with the Library of Alexandria still in existence, then I'm in! About: "Ruthless and supremely powerful, the Great Library is now a presence in every major city, governing the flow of knowledge to the masses. Alchemy allows the Library to deliver the content of the greatest works of history instantly—but the personal ownership of books is expressly forbidden." This world sounds exhausting and mentally unhealthy. I don't want to live forever and I don't want to worry about preserving myself so carefully that I can live forever. If I want to eat 'unhealthy' food, I'm going to. Even though I didn't love this book, I still found myself completely opposed to this world and thinking about it occasionally. About: "Lea Kirino is a “Lifer,” which means that a roll of the genetic dice has given her the potential to live forever—if she does everything right. And Lea is an overachiever. 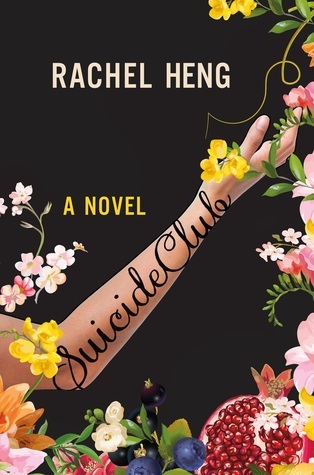 She’s a successful trader on the New York exchange—where instead of stocks, human organs are now bought and sold—she has a beautiful apartment, and a fiancé who rivals her in genetic perfection. And with the right balance of HealthTech™, rigorous juicing, and low-impact exercise, she might never die." A world where all you have to do is pay a fine if you commit a crime is not a world that I want to live in. It'd be madness and completely terrifying; anyone can do anything if they have enough money--want to murder someone? just add up the cost!--and I just think it sounds like chaos. 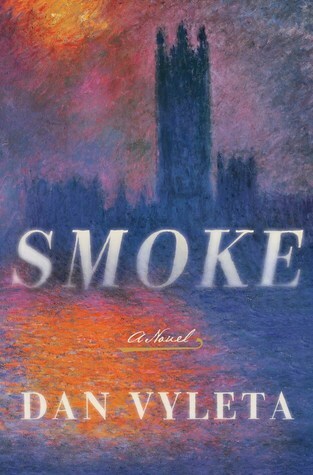 This book was an interesting concept to read, but to experience? Nope! About: "What if your life were defined by a number? Theo works in the Criminal Audit Office. He assesses each crime that crosses his desk and makes sure the correct debt to society is paid in full." I don't like monsters. I don't want to live in this world with literal scary monsters running around trying to kill me. We have enough monsters in our own world, we don't need actual monsters. About: "There’s no such thing as safe in a city at war, a city overrun with monsters. In this dark urban fantasy from author Victoria Schwab, a young woman and a young man must choose whether to become heroes or villains—and friends or enemies—with the future of their home at stake. The first of two books." In this world, you basically smoke and get soot and ashes on you every time you 'sin' or do something wrong. I try to always be a good person, sure, but I'm sure as hell not perfect and I don't need that broadcast to everyone all the time, especially since the more you 'smoke,' the worse off in society you'll be. I'll pass! About: "England. A century ago, give or take a few years. An England where people who are wicked in thought or deed are marked by the Smoke that pours forth from their bodies, a sign of their fallen state. The aristocracy do not smoke, proof of their virtue and right to rule, while the lower classes are drenched in sin and soot. An England utterly strange and utterly real." Women get one hundred words a day to speak and are pretty much 100% controlled, strictly forbidden from learning to read or working, among other things. I'm ridiculously thankful to not live there. About: "On the day the government decrees that women are no longer allowed more than 100 words daily, Dr. Jean McClellan is in denial—this can't happen here. Not in America. Not to her. This is just the beginning. Soon women can no longer hold jobs. Girls are no longer taught to read or write. Females no longer have a voice. Before, the average person spoke sixteen thousand words a day, but now women only have one hundred to make themselves heard." Here's another one I'm mixed on. Technically it'd be nice to live in a world where disease and death are eradicated, and it is true that death can come at any time for any of us, but... I still think I'd pass. It's mainly because of all the corruption amongst the higher-ups that scares me a bit too much, and I feel like no matter what you do, corruption will probably pop up somewhere. There are some pros and cons to this one, which would actually be really interesting to discuss in more detail. About: "Thou shalt kill. A world with no hunger, no disease, no war, no misery. Humanity has conquered all those things, and has even conquered death. Now scythes are the only ones who can end life—and they are commanded to do so, in order to keep the size of the population under control. 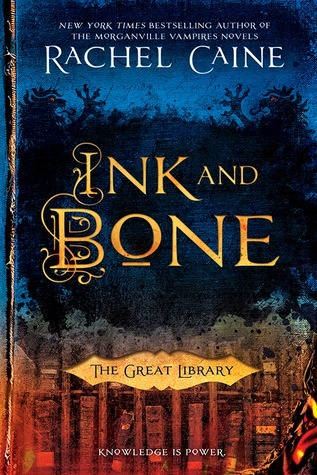 Citra and Rowan are chosen to apprentice to a scythe—a role that neither wants. These teens must master the “art” of taking life, knowing that the consequence of failure could mean losing their own. This is a super bleak post-apocalyptic world that sounds horrible and I really don't know what else to add. It'd be hard to find something to live for if you were on your own. About: "The Road is the profoundly moving story fo a journey. It boldly imagines a future in which no hope remains, but in which the father and his son, "each the other's world entire," are sustained by love. Awesome in the totality of its vision, The Road is an unflinching meditation on the worst and the best that we are capable of: ultimate destructiveness, desperate tenacity, and the tenderness that keeps two people alive in the face of total devastation." Have you read any of these books? What are some book worlds you would want to avoid? Great twist on this week's topic! 84k sounds terrifying. I like the idea of your theme today! 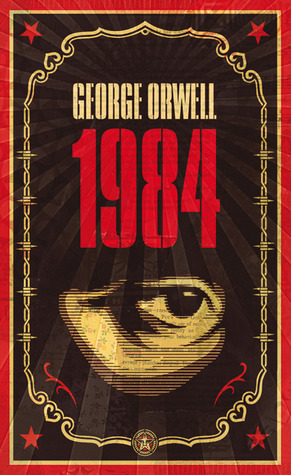 I've not read any of these, but know enough about 1984 to agree with you on that one! Thanks! Yeah, it doesn't sound very welcoming. I'd be curious to hear your thoughts if you do read them sometime! 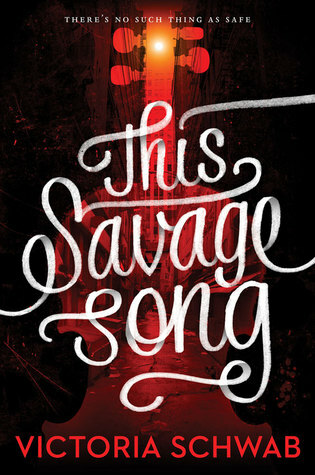 I've only read Ink and Bone and This Savage Song on this list, but I'm definitely glad I don't live in those worlds! Right? Monsters and no books are two worlds that sounds particularly horrible. I'm glad to not live in 1984 or in The Road, too. I also wouldn't want to live in the world of The Hunger Games. Ooh yeah, The Hunger Games would be really bad. I’ve actually read most of these! I would not want to live in The Road. That’s probably the most depressing world ever. I could not agree more. There honestly seems to be zero hope in that book. Great spin on the topic! 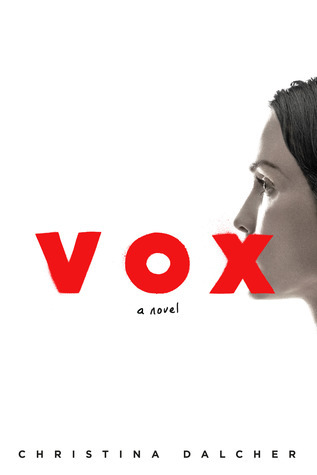 The scary thing is how some of these are not that far off from our society, like Vox - from reviews I've read and stuff, it seems like something that could actually happen! It really is scary to think about. I almost didn't include that one because it felt almost too real, haha! 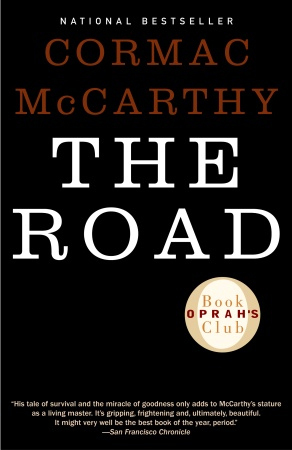 I haven't read The Road but I've heard it's SO bleak! These all seem like good worlds to avoid living in though for sure! I had forgotten about 84K- I remember when that came out and I wanted to read it, but never did. It really is, I definitely felt a cloud over me the entire time I was reading it, haha. 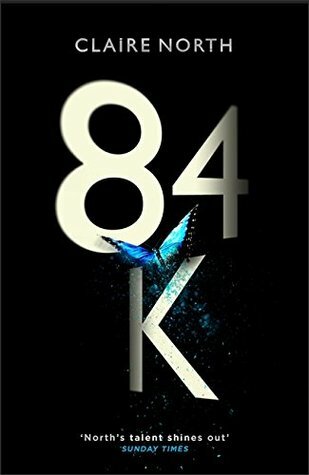 84K was pretty interesting--I loved the concept, even though the book itself wasn't my favorite. 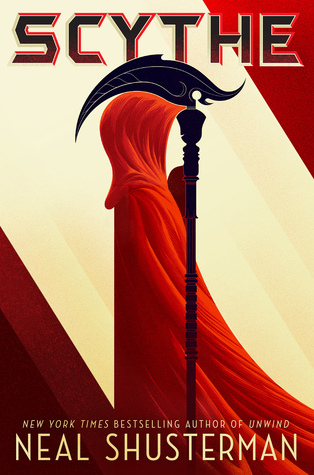 Scythe is one of those books that shows you a "utopia" that totally gets twisted into a dystopia. I do think that if everyone lived forever we'd have real problems. I can't imagine all the problems that would arise. I'm not even sure if I'd want to live forever, haha. I LOVE This Savage Song! :) Great list! Love your spin on this week's topic and 100% agree about not wanting to live in Vox's world. That was a pretty terrifying place.